Dining out is a consistently popular option for consumers who do not have time to cook. According to a recent Gallup poll, 10 percent of respondents ate at a restaurant the night before the survey. In 1989, 8 percent of people dined out the previous evening. 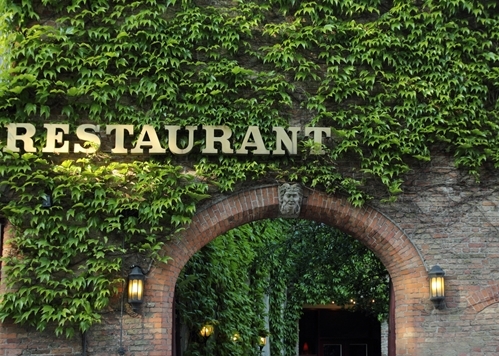 Promotional giveaways can help restaurateurs attract dozens of customers every night. Exciting events and small prizes draw consumers to new restaurants. Additionally, fun atmospheres can turn one-time diners into regular patrons. Establishment owners must pick the perfect moment for their giveaways, decide on the perfect promotional items and properly market the events to find the optimal number of new customers. Timing is everything in terms of marketing. Restaurateurs have to choose the perfect day to hold their giveaways. Owners shouldn’t use the weekends for promotional purposes. Consumers tend to dine out on Fridays and Saturdays, so an event would lead to overcrowding. Restaurants have to be mindful of the available space – drawing in new diners on a busy night will cause long lines and customer dissatisfaction. Patrons are more likely to try a new eatery when there is no wait for service. Restaurants should hold their promotional giveaways during traditionally slow days and nights. Small gifts can motivate potential clients to break from their normal dining routines. The right promotional marketing products contribute to the success of a giveaway. Customers want prizes that are functional in every situation and simplify basic tasks. Promotional pens are among the most popular items because they are the most useful. The writing utensils can be used at home, in the office and anywhere in between. Servers can leave the branded pens with every party’s check. Alternatively, promotional wall calendars with pictures of delicious dishes could be excellent gifts. Images of mouthwatering meals entice hungry consumers to return to their favorite restaurants. Coupons can be printed on every page to encourage monthly patronage. Social media is the best tool to advertise a promotional event. The Houston Chronicle recommends posting pictures of promotional items so customers can see the available gifts. Servers and chefs should be featured in the photos, and all posts should include dates so interested consumers don’t miss the giveaways. Advertisements can be posted outside of restaurants to attract passersby. Banners and balloons can inform potential customers about the gifts that wait inside. The combination of excellent service, delicious food and functional prizes can help restaurateurs forge lasting relationships with their patrons. Hey!! !This is a cool idea for travelers and food lovers like us.This will do good to us and will do good to the hotel industry as well.